Thanks to a bag of pre-cut cabbage mix, Giora Shimoni's aptly-named 2-Minute Cole Slaw is virtually prep-free. All you've got to do is mix up a quick dressing, toss everything together, and voila, you've got cole slaw! Shimoni likes the way quick salads like this one "add a colorful, healthy and light touch to everyday and Sabbath meals." Since this recipe is so quick and easy, you'll have time to spare to jazz it up a little. Try adding sliced scallions, julienned red bell peppers, or poppy seeds to the mix. Or toss in fresh chopped herbs, such as mint or cilantro. Like a little spice? Add a dash of Cajun seasoning, hot sauce or sriracha to the dressing. 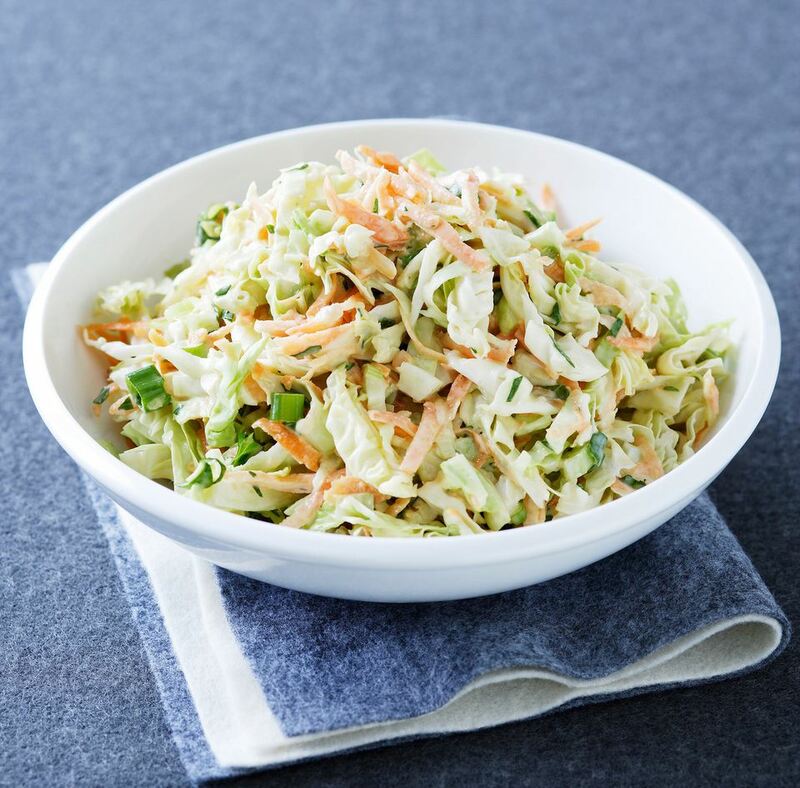 Make it a Meal: Cole Slaw is a classic barbecue side, and this quick and easy version is ideal for casual entertaining. Try it with this Brisket with Mango Barbecue Sauce, this dairy-free, corn kernel-studded Cornbread, and an Avocado, Hearts of Palm, Edamame & Za’atar Salad. For dessert, think seasonal fruit pies or crisps, like this Cherry Pie with Oatmeal Streusel in summer, or an Apple and Dried Cherry Crisp in fall. Place the cabbage and carrot mixture in a large serving bowl. In a small bowl, whisk together the mayonnaise, lemon juice, vinegar, 1/2 teaspoon sugar, and salt. Taste the dressing and add 1/2 teaspoon more sugar if you prefer a sweeter coleslaw. Pour the dressing over the cabbage mixture and toss to coat.